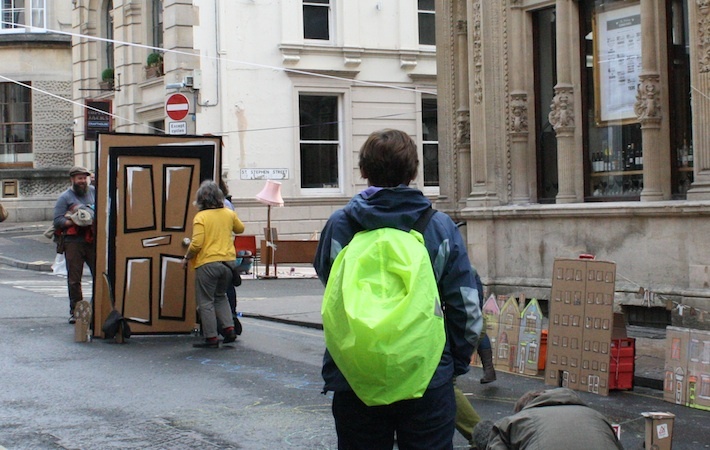 Open the Door is an interactive game, installation and play scape involving audience participation, improvisation, and instant drawing and making in response to a large cardboard front door and a small scale residential street. 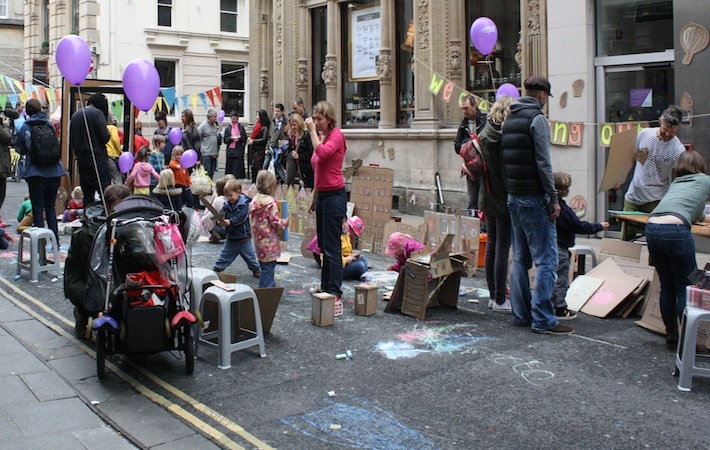 Conceived and devised by Amy Rose and Jenny Sanderson (Bocadalupa), Mandy Rose, Pete Goddard and Ellie Freeman for Playing Out, it was first presented at Bristol’s Make Sunday Special in October 2013. 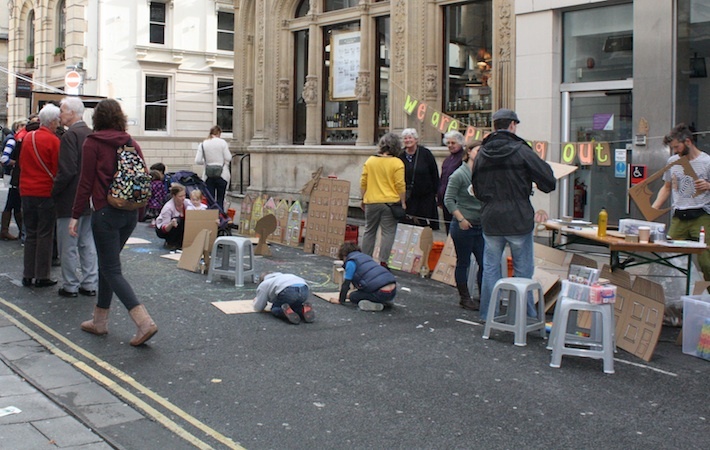 In it, members of the public are asked “What are your hopes and dreams for your own street?” and “What would you like to change on your street?” A team of friendly hosts alongside willing members of the public bring these imaginations to life through improvisation, cardboard, packing tape, chalk and permanent marker. 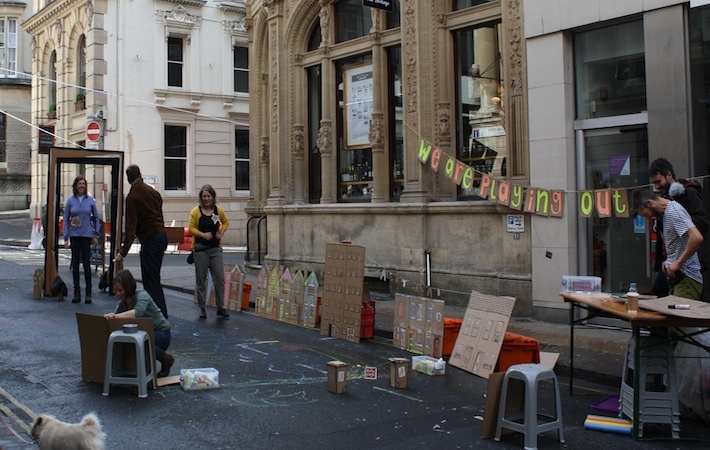 Open the Door was created to make a link between Make Sunday Special’s road closures and public space events and the playful possibilities available to everyone within their own neighbourhood streets and communities by playing out.